Roj Bash ! | a good morning from Kurdistan to you wherever you are . 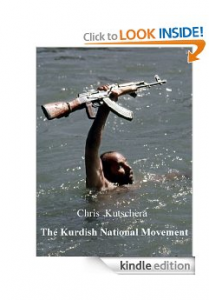 This is not just another book criticizing Turkey for its well-known Kurdish problem. Rather it is an ably crafted analysis full of useful insights regarding the Kurds within the context of Turkish politics. Its main contribution is a very insightful analysis of the “politicizing [of ] the Kurdish question in Europe by encouraging the formation of Kurdish special interest groups and intensifying political lobbying efforts” (p. 184). “Germany is at the epicenter of this transnational web because the majority of politically engaged ethnic Kurds reside there” (p. 181). The Netherlands, Belgium, France, the United Kingdom, Austria, and Denmark, among others, also serve as homes for these “Euro-Kurds” (p. 173). 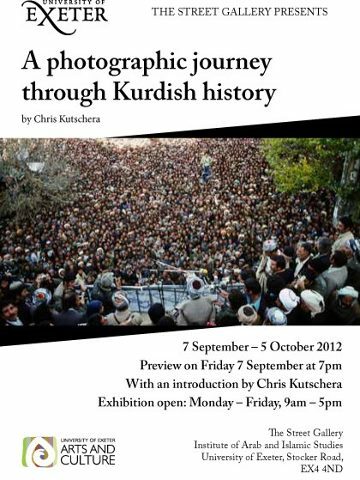 “The PKK [Kurdistan Workers Party] has created a broadly supportive and legitimized network of legal experts, human rights activists, and environmental specialists, along with connections to scholars, media professionals, and technologically skilled members of the Kurdish diaspora” (p. 20). The phrase “dual strategy” in the book’s subtitle refers to “the transformation of the PKK from an organization that predominantly pursued a guerrilla strategy in Turkey [and still does] to one that established parallel political structures in Europe” (p. 4). 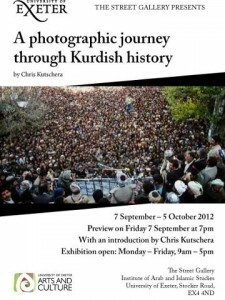 Important Kurdish-supportive organizations in Europe include YEK-KOM, “the umbrella organization that manages the tightly structured Kurdish political and cultural clubs across Germany” (p. 169); KON-KURD, “a Confederation of Kurdish Associations in Europe” (p. 186); the KHRP (Kurdish Human Rights Project), which “in London … focuses on factfinding missions and the dissemination of information to human rights groups” (pp. 98-99); and the EUTCC (EU Turkey Civic Commission), “which was established … [for] formalizing and legitimizing interactions between MEPs, Kurdish civil society organizations in Europe and Turkey, and international academics” (p. 187), and with the ultimate goal of achieving a democratic Turkey’s EU accession as a way to help solve its Kurdish problem. The author also presents a detailed analysis of the popular, young ethnic Kurdish rapper “Azad.” His band “called themselves ‘Warheit,’ a clever play on the German word Wahrheit, or truth. By eliminating one letter, the band invented the term ‘wardom’ or ‘state of war,’ but also implied that their cause was justified and truthful” (p. 175). Cem Ozdemir and Feleknas Uca are respectively an ethnic Turk and ethnic Kurd, who have been elected to the EU parliament where they were able to promote the Kurdish cause. 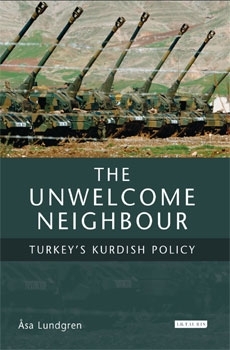 Ozdemir “proceeded to encourage Turkish society to pursue a political solution to the Kurdish conflict, and then described the Turkish military’s approach to the southeastern provinces as highly ineffective and even counterproductive” (p. 185). Sivan Perwer, the famous Kurdish dengbej (Kurdish for a bard and troubadour) “has lived in exile in Germany for 40 years and … has been called the ‘Voice of Kurdistan’ by his political supporters” (p. 179). His “story-telling through music is considered extremely important among Kurdish activists who support preserving Kurdish culture and history” (p. 234-33). The author, Vera Eccarius-Kelly, was born in Germany and grew up in Dusseldorf, but now teaches comparative politics at Siena College in Loudonville, New York in the United States. Thus, she is in a rare but excellent position to analyze the important Kurdish political campaign in Europe for an English-speaking audience. In addition, her knowledge of revolutionary movements, particularly in Latin America, enable her to draw interesting and useful comparisons between the Kurds and situations in Columbia, Mexico, Peru, Pakistan, Spain and Ireland, among others. For example, “the PKK shared organizational similarities with the Peruvian Maoist organization Sendero Luminoso (Shining Path). … Both groups relied on the ideological inspiration of an omnipotent leader… . Both organizations appealed to ethnically marginalized populations and relied on profoundly impoverished recruits to carry out their missions” (p. 111). On the other hand, “Latin American militaries have had a pattern of remaining in power for extended periods, which stands in contrast to the conduct of the more professionalized Turkish military” (p. 132). In a pointed message to Turkey, Eccarius-Kelly points out how “Spain succeeded in undermining popular support for Terre Lluire (Free Land), a separatist organization in Catalonia, as well as the Catalan Red Liberation Army by reducing centralized state controls and employing policing strategies rather than relying on the military” (p. 70). The now banned proKurdish DTP in Turkey “modeled itself after Sinn Fein, the former political wing of the Irish Republican Army… . While the British government initially refused to recognize Sinn Fein as a bona fide representative because of its close links to the IRA, it eventually recognized the significant role Sinn Fein could play in moving the peace process forward” (p. 122). 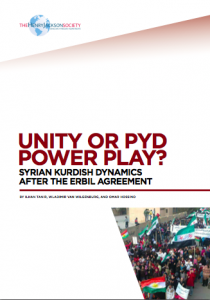 The new proKurdish BDP in Turkey currently could play the same role. The author correctly maintains that “the Kurdish question continues to emerge at the core of nearly all unresolved conflicts in Turkey” (p. 78), but space does not permit further numerous examples of her additional insights other than briefly to mention her excellent analysis of “the Erdogan [AKP’s] government’s uninspired Kurdish initiative” (p. 166) in 2009. “While the AKP emphasized a reduction of the regional influence of the PKK by excluding and emasculating its leadership as illegitimate and irrelevant, the PKK sought to undermine this tactic and instead assert itself ” (p. 194). “The Kurdish Initiative became a mere monologue as the AKP attempted to identify limited concessions without involving Kurdish representatives” (p. 197). 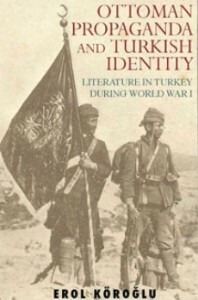 Throughout her book the author refers to the PKK as the “Kurdish Workers Party” (for example, p. 2) when, of course, Kurdistan Workers Party is its correct name to emphasize that the party claims to represent all people who live in Kurdistan, not just the Kurds. The same problem occurs when she refers incorrectly to the Kurdistan Regional Government (KRG) in northern Iraq as the “Kurdish Regional Government” (p. 153). 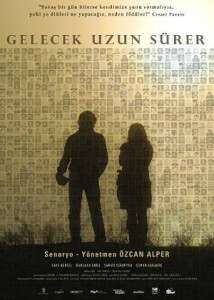 With the brief exception in her list of “Terms and Abbreviations” (p. xii) and “Appendix D: Profiles of PKK Leaders” (pp. 211-12), the author also fails even to mention the existence of the KCK (Kurdistan Communities Union), which has become the umbrella organization bringing together the PKK and many of the other related Kurdish organizations. However, many Kurdish activists themselves continue to use the term PKK instead of KCK. 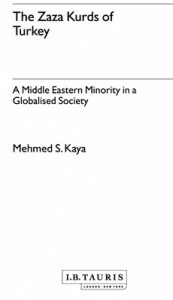 This book is a balanced, jargon-free account that neither demonizes nor glorifies Turkey or the PKK, but rather proffers a valuable analysis of the often-successful Kurdish transnational civic web in Europe. The study concludes with four appendices regarding Kurdish population totals in various countries, two maps, a timeline, and profiles of PKK leaders. 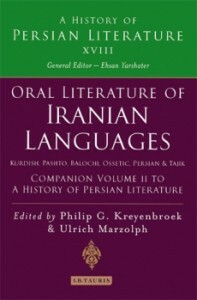 It also is well documented, contains a bibliography, and a good index. 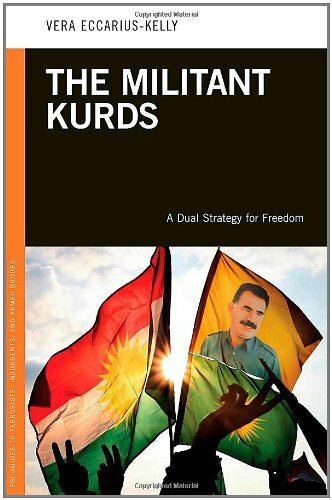 It should be read by all those interested in the future of Turkey and its continuing Kurdish problem for its insights into how the Kurds have begun successfully to pursue a civic-political strategy while the PKK morphs into the vehicle for accomplishing this end. Sumru is doing music researches at a university in Istanbul. To work on her thesis on gathering and recording an exhaustive collection of Anatolian elegies she sets off for the south-east of the country for a few months. The brief trip turns out to be the longest journey of her life. During the trip, Sumru crosses paths with Ahmet, a young guy who sells bootleg DVDs on the streets of Diyarbakir, with Antranik, the ageing and solitary warden of a crumbling church in the city and with various characters who witness the ongoing ‘unnamed war’. During her three-month stay in Diyarbakir, while she was looking for the stories of the elegies, she finds herself to confront an agony from her own past. In 1984. Zeynep lives in Diyarbakir with their three children. Zeynep seems to be in daily routine. Zeynep is going to visit her husband in prison. Official presentation on the Festival Website.